How many times has faulty internet or a busted printer prevented you from getting work done at a critical time? How do you avoid the frustrations of IT setup and management from derailing the growth of your business? How can you acquire scalable IT infrastructure and avoid large up-front costs? 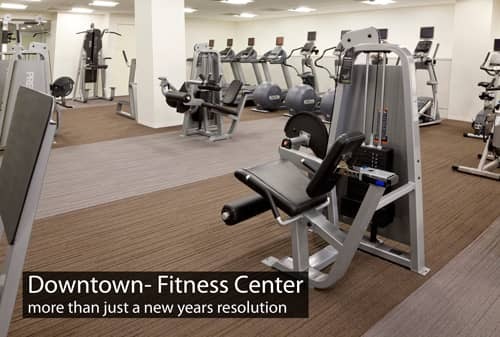 While Business Centers and Executive suites can mean the ultimate in flexibility for physical space, they can also provide an opportunity to responsibly scale your technology and IT while providing time-saving on-site assistance. Just as the concept of shared space means common amenities like conference space and reception areas are shared, so is IT implementation and management. Office providers take care of supplying connectivity and management for center-wide networks, freeing you from the time consuming task of administrating your network. Because equipment is provided center-wide to a host of clients, hardware and bandwidth are the same quality of a large enterprise. With the ability to separate the network into different slices or groups, you can also establish a custom setup that includes your own additional equipment if you see fit. By offering such flexibility while still providing enterprise IT solutions, you can truly achieve the optimal cost-effective setup for your business without limiting the complexity of your setup. While letting a business center absorb the larger fixed costs of IT infrastructure can help your bottom line, on-site IT assistance can also save you precious time. Should any problems or issues arise, they are dealt with swiftly and effectively by center management without you having to make an additional investment. This model also means the business center absorbs the risk of faulty hardware or disruption, with backup equipment and internet circuits on-site ready to deploy in a moment’s notice. This peace of mind ensures that you won’t run into an unforeseen problem that can cost you thousands of dollars when your equipment goes bad, and lets you plan for the future more confidently. 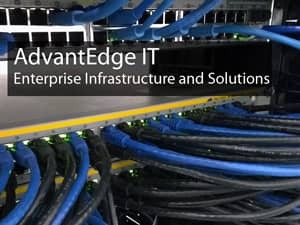 AdvantEdge provides enterprise quality network hardware that supplies fiber-optic internet to all of our clients. With rentable rack space and the capacity to blend your own equipment in your network configuration, we can offer unparalleled flexibility and support. Center management is also there to support you when things go wrong, and keeping you connected is our top priority so you can worry about your business instead of a pesky IT issue. 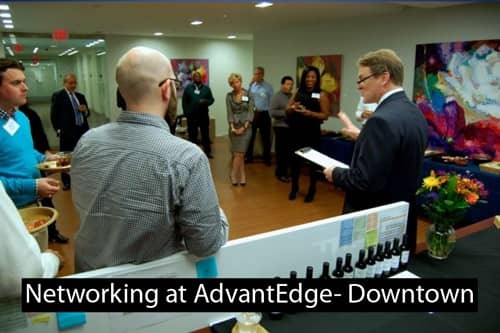 Click above to see how full-time space with AdvantEdge can offer you the best IT solution for your growing business.